We would like to thank everyone who came out on Saturday as well las al the people who followed our launch. It was very successful and we had lots of people come forward dot sign up to help end violence against women, bullying, and sexual assault. The fist step is talking and we have come a long way as far as that goes. A lot of people signed up to volunteer and we will sending out an email soon with more information. We also want to thank the Chronicle Herald and Huffington Post for using Rehtaeh’s name in their coverage. We are thankful for their courage and stance on justice. A special thanks go to the powerful and poetic El Jones, A-Godin, and reggae singer Garreth. It’s a new day and there is lots to do. Let’s get at it! Her name is Rehtaeh. Say it. 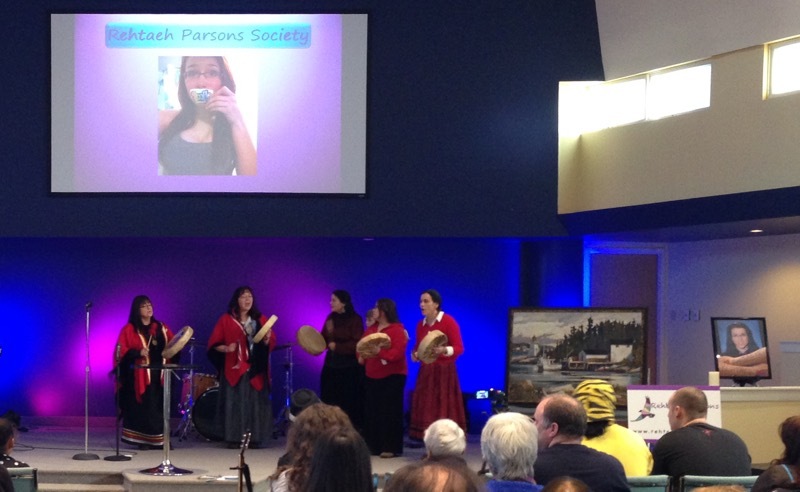 Wonderful news of the founding of the founding of the Rehtaeh Parsons Society and your founding meeting on November 29. Congratulations. Congratulations also for winning a place for her name and legacy in the public sphere and in the lives of Canadians. I attended high school in Dartmouth and Windsor many decades ago. Rehtaeh’s story has moved me very deeply. Your work inspires and gives hope for the future.